Why are we influenced and fascinated by some people, but not others? In a competitive environment, why do we decide to buy certain brands, or believe certain messages? 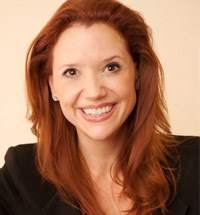 Advertising icon Sally Hogshead has the answers. She teaches audiences how to develop irresistibly persuasive ideas that sway decisions and change behavior, and she reveals how company brands can deliver world-class messages that persuade and influence consumers and employees. Hogshead has helped both Fortune 500 brands and startup companies develop branded content, new media applications, and multi-platform advertising. Her clients include Nike, Cole Haan, Godiva, and Motorola. A sought after keynote speaker, Hogshead trained with internationally-recognized speaking coach Nick Morgan, and has spoken around the world for corporations such as Starbucks, Microsoft, and the American Marketing Association, and at conferences and innovation workshops. She is the author of Fascinate: Your 7 Triggers to Persuasion and Captivation (HarperBusiness) and Radical Careering: 100 Truths to Jumpstart Your Job, Your Career, and Your Life (Gotham). Hogshead's insights are regularly profiled by media such as NBC's Today Show, CBS Evening News, and the New York Times. In her second year in advertising, Hogshead won more awards than any other copywriter in the U.S., and was called "the most successful junior copywriter of all time." By age 27 she was running her first ad agency, and went on to create marketing messages that have been included in "Best Ads on TV," the $100,000 Grand Kelly prize, and The Smithsonian Museum of American History. She's been described by the media as "a mastermind" and "advertising's icon" who has "changed the face of North American advertising." 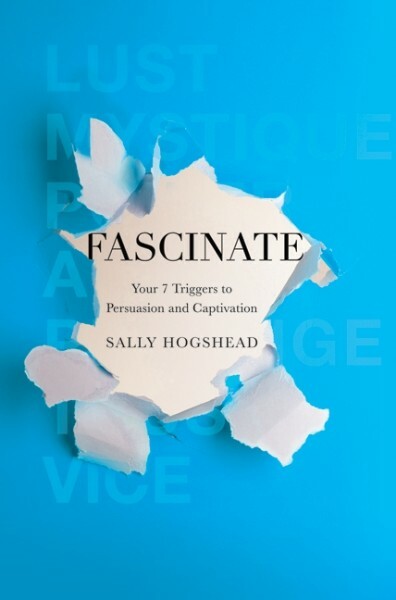 In her new book, Fascinate: Your 7 Triggers to Persuasion and Captivation, Hogshead brings a strategic marketing approach to the art of influence. Often compared to writings by Malcolm Gladwell and Seth Godin, Hogshead's storytelling weaves together unique insights from disciplines ranging from history, to biology, to cultural anthropology. Combined with an original marketing study of 1,059 Americans, she reveals the seven deeply-rooted "triggers" of fascination (Power, Mystique, Prestige, Lust, Alarm, Vice, and Trust). What happens when a leader or organization effectively activates the right trigger? Client loyalty increases, profitability improves, and the most talented employees never want to leave. Business has changed, the world has changed, and Hogshead shows audiences how to stay ahead. Her message is unique, provocative, and entirely of-the-moment. Using original content and proprietary research, she leads audiences on a fast and furious journey through business, behavior, culture, and trends. Hogshead's speaking style is as fascinating as her content. She electrifies audiences, holding them rapt from the first nine seconds to the last. Audiences connect with her on a personal level because she interacts with the entire room, bringing volunteers onstage, leading exercises, and serving it all with inspiration and wit. Hogshead customizes her research and presentation style to the organizers' goals, the participants' field of work, and the company's specific challenges. Audiences will learn how to create bigger results with less time or money, and how to sharpen their competitive edge. Hogshead's first book, Radical Careering: 100 Truths to Jumpstart Your Job, Your Career, and Your Life, is an innovative guide to creating a more marketable personal brand. New York Times best-selling author Marcus Buckingham described Radical Careering: "Take inventory of your strengths, identify your passions, then do everything in your power to carve your career toward them. Only then will you, and everyone else, see the best of you. Want to know how? Read this book." In 2006, Sally toured as a motivational speaker with CareerBuilder.com. At a young age, Hogshead learned the power to fascinate. She grew up watching her sister win three gold medals and a silver in the Olympics, and her brother graduate from Harvard. Instead of ending up on a psychiatrist's couch, she was voted "Funniest" by classmates every year in high school, and went on to graduate from Duke University. And yes, growing up with the last name "Hogshead" would give anyone an unconventional point of view. FYI: A hogshead is a barrel that holds 62 gallons. "This is a transformative work, a beautifully written book that will forever change the way you see the world. I loved it. Let me be really clear: you need to buy this book, devour it, absorb it and then buy copies for your colleagues. A lot of copies." "Can you dissect 'fascination'? Sally Hogshead says, 'Yes.' Fascination is arguably the most powerful of product attachments - and this pioneering book helps us approach the word and the concept in a thoughtful and also practical manner." "Whenever your message hasn't reached a customer, peer over at Sally Hogshead's collection of stories and directives, replete with more illuminating, original, and doable ideas than you can handle in a lifetime. Okay, two lifetimes." "Fascinate is a riveting journey through the forces of fascination - how it irresistibly shapes our ideas, opinions, and relationships - and how to wield it to your advantage."